About 35 years ago, I went down to the Laramie station to see UP 8444 (its number at the time - now it is 844). While they were getting ready to depart, I slipped a penny onto the track and that big loco rolled slowly over it, making it REALLY thin. I still have that souvenir. Any of the rest of you do anything like that, or am I just weird? I'm not a rocket scientist; they are my students. When the American Freedom train came though my area, many rushed to nearby tracks to place a penny on the tracks for it to run over. My brother and I really really wanted to do this, but mother, may she rest in peace, insisted no, it was dangerous to the train and refused to allow us to do such a thing! Needless to say, the train wasn't upset, and many got their flattened penny, but no, not us! Just my thoughts, ideas, opinions and experiences. Others may vary. After long and careful thought, they have convinced me. I have come to the conclusion that they are right. The aliens did it. Its an age old thing to do. My grandfather did it with my brother and me in the early fifties in Wildwood Crest New Jersey. Either a PRR 4-4-2 which I believe it was or a 4-6-2 rolled over our pennies making them as big as silver dollars. One we had to peel off the rail. Later we did that with a Budd car and it hardly did anything to the penny. Bummer! mother, may she rest in peace, insisted no, it was dangerous to the train and refused to allow us to do such a thing! Did your mother live to see the Mythbuster's episode a few years back (perhaps it was the one with urinating on the third rail) where they tested that myth by placing a few coins on the track as a switch engine passed by - result was no damage to the engine or it's wheels, and several nicely flatten coins for Adam & Jamie. So if you have kids, let 'em have at it (supervised and safely, of course - on a fan trip perhaps). No, your not wierd for doing that. I did when i was younger, me and my buddies from high school used to go fishing along the CSX line (used to be the B & A) in Brookfield, MA and laid down many a penny dimes nickels, and even quarters...finding them afterwards was tough, they slip between the ballast. Last fall along the same tracks i took my 7 year old son to do some railfanning and he got his first taste of penny squishing! I'm sure the railroads don't appreciate people tresspassing on there property....like a previous poster posted,,,,,make sure to use your head and be SAFE!!!!!!! I have a friend who is an engineer for the Golden Spike Historical Site (Yes, he's a steam locomotive engineer on the federal payroll - is that a dream job or what?!). He says they won't allow stuff on the track because they want to keep spectators clear while the locomotives are moving. Safety really is important. They do have a penny stretching/embossing machine so you can have a coin-derived souvenir of your visit. 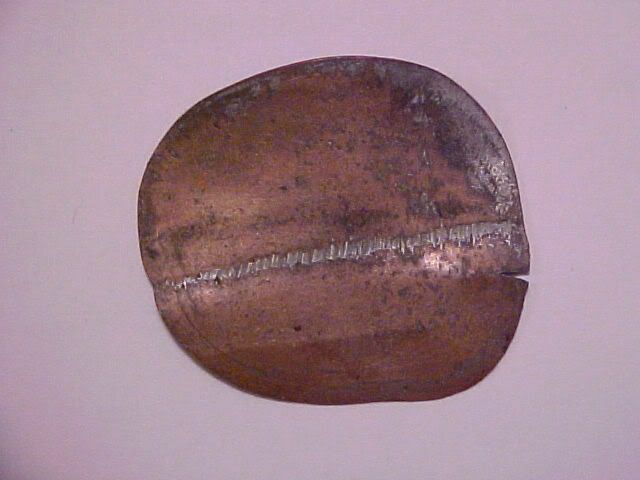 BTW, I still have my squashed penny from 844, any of the rest of you keep yours? I have two things in my tool box , Duct tape and WD40 If it moves and should not I use duct tape if it doesn't move and it should I use WD40. 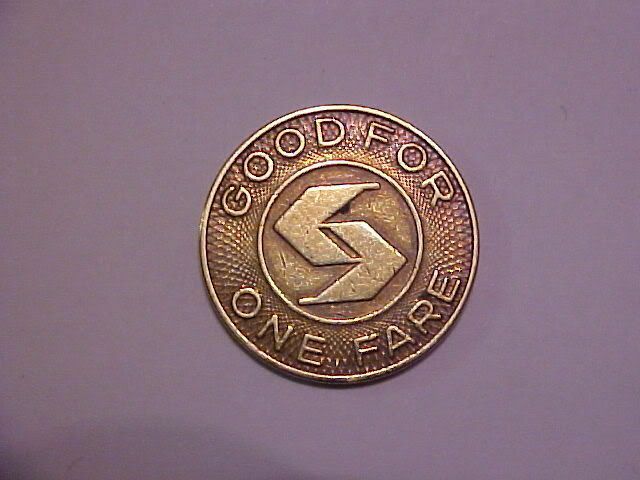 WHo has a model of a flat coin on his layout? 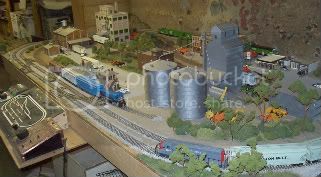 N Scale? I have never flattened coins that way, but I did railfan around Doswell, Virginia where this store sits by the Buckingham Branch RR/CSX (C&O/RF&P) junction. If everybody is thinking alike, then nobody is really thinking. I stll have a few of mine. i keep them in my tackle box for memory sake when i go fishing. my son has his on his HO scale layout...uses them as merchandise on flat cars and coal cars!! I have done this a few times as well, can't seem to find where I have put them all though. What I would really like to try is to stack a penny on top of a quarter etc. and see what would happen. I wonder if it would permanently smash them together or if they would still be easily separable. I guess the trick is getting them to stay stacked through the process. Got mine from the NKP 759 when she was on the Golden Spike Centenial Special, many moons ago during a middle scool project, I encased it in resin with a descriptive brass plaque. A fine paperweight and memento. My ultimate is what dad passed down to me, a Crucifix fashioned from a portion of some departed steam locomotives valve gear, story is, SP put a train on ground near his home, in the time it took for RR forces to respond, dad and friend purloind some easy to carry parts! I worked at an auto parts store in Summerville, SC right next to the Norfolk Southern line that ran through town. We were always putting coins on the tracks for fun (we were easily amused in the pre-internet, pre-500-channels-of-junk-on-tv days). Then one day lightning struck the tracks and I took it as a sign from above. Yes that's right, the store manager's office was upstairs and he didn't like us goofing off like that. I've done both the machine smashed penny, and the train smashed. This one is from Stone Mountain Park, GA. Smashed by a GP-7 (9?) about 10 years ago. 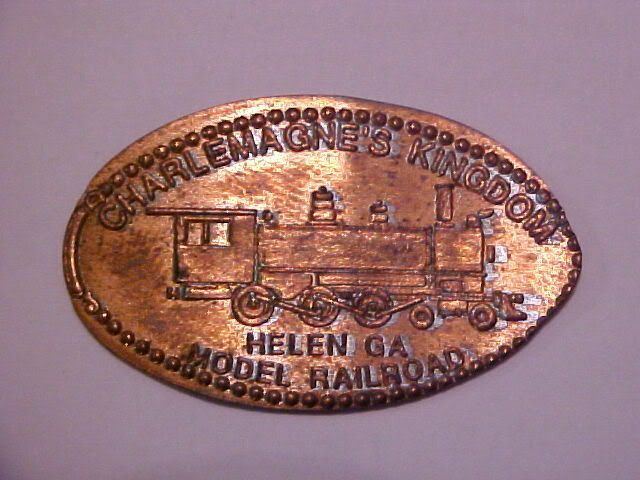 This one is machine made, about 3 years ago, from Charlemagne's Kingdom in Helen GA, a great model train layout. 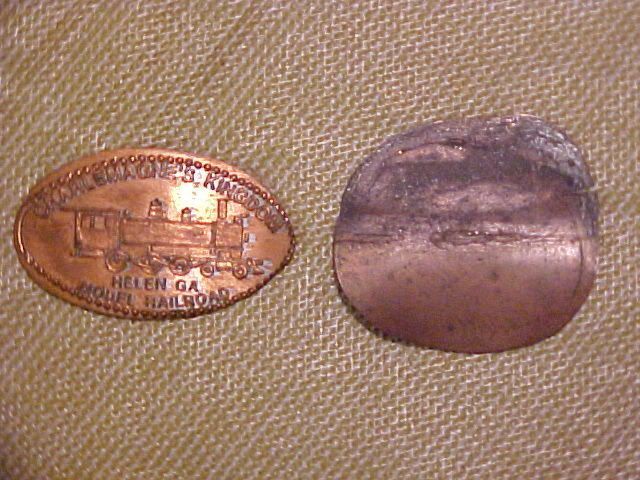 I lost my penny from the Choo-Choo museum in Chattanooga a few years ago...I think I accidentally gave it to a Shriner standing in the road at Christmas time. 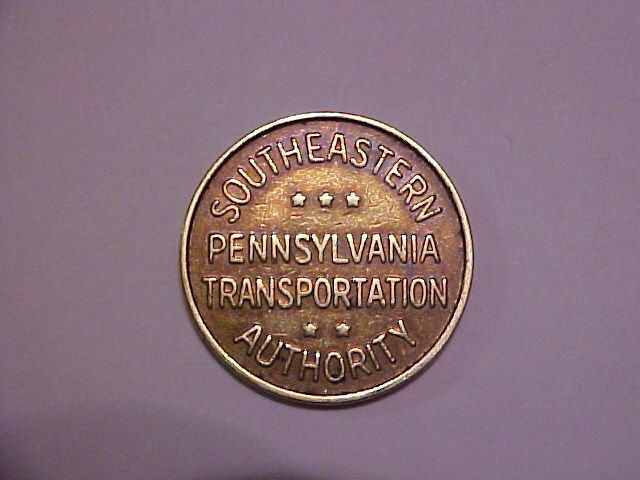 The same Shriner got my Southeastern Pennsylvania Trasportation Authority token, but an email to a very nice lady up there got me a new one! I seem to remember doing it a long time ago. But I always heard the concern wasn;t so much the loco as itt was you. Pennies can be made to fly if situation permits, then they take out your eye. I spent a summer in Doswell once. The RFP and Amtrak ran right near I-95 and past Kings Dominion which has it's own little train ride where the conductor tells a bunch of corny jokes. Here in PA, Strasburg RR runs mere feet from the parking lot of the Caboose Motel and the kids place coins on the rails well in advance of the train's approach. Everyone then backs up to the picnic area and watches and waves as the trian runs by. Maybe this year I'll put up a few pennies myself. Proud to be DD-2itized! 1:1 scale is too unrealistic. Twins are twice as nice! As others said, this is something done for many years. I personnally had C&NW Atlantics flatten many pennies (couldn't afford anything larger) back in the mid-50s in Chicago. Of course the RR frowns upon this, for two main reasons (IMHO of course). The first is that railroad tracks can be very dangerous (not to mention the trains themselves) and they don't want folks near them. The second is that after flattening a few coins, the urge to "go bigger to see what would happen" would hit a whole lot of kids. 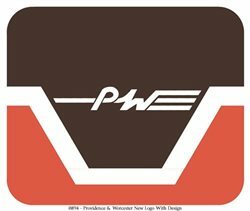 I once worked in a rolling mill making precision wire, and one night just for kicks I ran a penny through the rollers a few times. By the time I was done I had it almost three inches in diameter. I kept looking for the other penny unknowing of where it had escaped to... I gave up the search, and on the bus noticed what looked like a thin crack along the edge of the coin... I pried the 2 pennies apart from each other without to much difficulty, then when I got home super-glued them back together... 2 cent coins! Yup! We did it, my mother did it, my grandfather did it and even my great grandfather flattened coins on the rail. My great grandfather was a depot agent for the L&A RR too! I grew up in the town of Ashland, Virginia, which is right up the road from Doswell. The tracks run right through the center of town headed on towards Richmond. That was what started my love of trains, was watching those big beasts roll along Center Street. Scariest thing I ever saw was half of an MG Midget sticking out from under a Southern Railway boxcar in the mid-70's. As I recall, the front of of the train was a good half mile further up the track. My cousin and I used to stick coins on the tracks behind my grandparents place, near the old station in Elmont (which was about 2 or 3 miles from Ashland proper). I don't have any of them any more. I wonder if I could convince him to go make some more with me sometime. I was there in '77. Worked at KD and stayed at Randolph Macon College. Trains ran right between the soccer field and the tennis courts. Or for you people that went to class, they ran past the classrooms but not near the admin buildings! I normally had either CSX or NS flatten my coins. I'm not old enough (28) to have the classic engines do it. I know at one point, I was going to do all of the coins. Just never got to it. Plus now, I don't wanna get into trouble running to the track and setting a coin on it. They might think its a bomb, or I am doing something to the track. "Rust, whats not to love?" Glad to know someone else knows what I'm talking about! If you haven't been back recently, they rebuilt the station there across from the college. I belive it houses the Ashland Chamber of Commerce now, but it's a very nice building. We moved from Ashland in 1978, though my grnadparents lived in Elmont until they died, and my uncle still lives there. I was bit to old to grab one unfortunatly..
Great, I meet people from the same town I was in 31 years after the fact! I only knew the campus and Kings Dominion. I actually worked exactly 100 hours one week and please don't anyone ask me to try it again. Being young and working hard and running a mile every morning with my roomies while the morning freight rumbles by in the background...oh the memories. No crushed pennies for us. No time allocated for hanging out waiting for a train. I took a ride on the Eureka Springs & North Arkansas tourist RR last year. The conductor encouraged everyone to place coins on the track while the train engine was running around the wye at the end of the line. After the engine had passed and everyone had collected their coins, the conductor asked everyone to hold up their flatten coins for all to see. With a big smile, he stated, "Now, you folks know that defacing or destroying United States currency is a federal crime. But, for a mere $20.00 per person I'll forget I saw you!" For what it's worth, the ES&NA is an interesting ride with lots of history. The Cedar Branch & Western--The Hillbilly Line! When I work for the Port of Tillamook on there line I watched people do it all the time, penny's, nickel's, dimes, some got there coins back but 80% ended up in the undercarrage of our loco's most of the time. I did it when I was a kid and I still do it every once in awhile. Maybe I should sell them on Ebay, LOL. You never know. Might get some buyers.